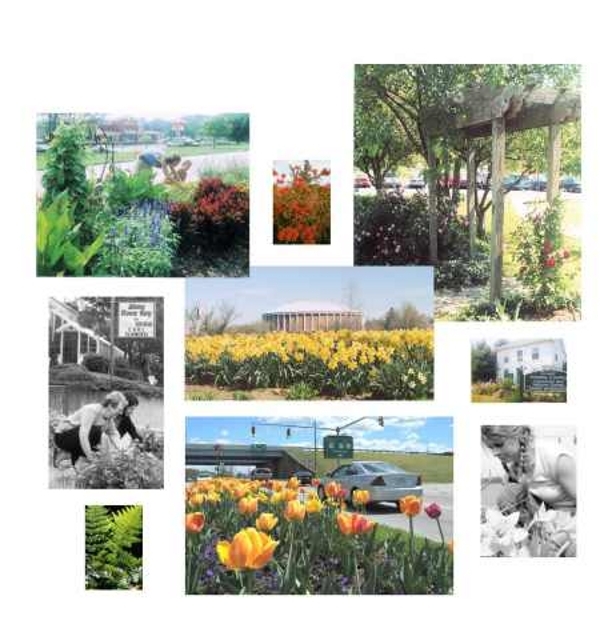 Project Plant has been beautifying Athens, Ohio since 1984, doing traffic island gardens at City entrances, gardens at City park entrances, and even flower baskets, window boxes, and flower barrels uptown at one time. The idea is to inspire pride in Athens and make the City prosper by being more and more attractive. Project Plant has 501(c) 3 status with the IRS, is incorporated and registered with the State of Ohio, making it a non-profit corporation. Contributions are tax-deductible to the extent allowed by law. Our flagship garden is on the East State Street traffic island near Bob Evans Restaurant. We also have traffic island gardens at the intersection of East State and Madison in front of the Athens Flower Shop, at the intersection of East State, Carpenter and Stimson, above Busy Day Market and Palmer Place Apartments' parking area on Stimson, and on Columbus Road near Taylor Honda. Except for the planting of annuals on the big East State island, all the traffic island gardens are maintained by our contractors. Volunteers plant and maintain the Mansfield House/Athens County Convention and Visitor's Garden in front of the Community Center, the East State Street frontage landscaping at the Community Center, and the Athens County Library (Home Street) gardens. We welcome volunteers, and you can contact us through our webpage or our Facebook page via the "Contact" links above. We have a Facebook page that can be found under our name Project Plant. We encourage you to Like us on Facebook. If you would like to make a contribution to this unusual community gardening effort, please send a check made out to Project Plant to P.O. Box 5676, Athens, Ohio 45701.